Carbonate crust sampled by the ROV (credit: Maja Sojtaric - CAGE). 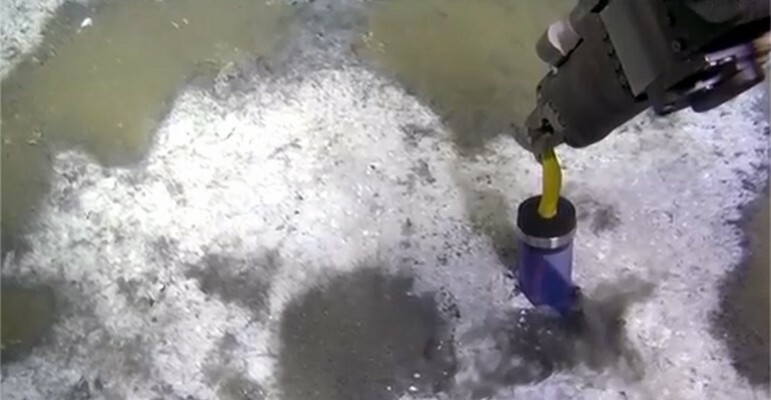 Ever wondered how we can measure methane emssions from the seafloor ? 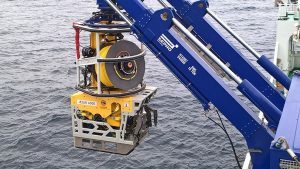 And ever wanted to steer a mini submarine remotely operating vehicle (ROV)? Well here´s your chance! Have look at this blog post on analyzing methane emissions using ROVs and you´re ready to embark! The goal is to determine when the gas leak started and how the fluid flow systems work. 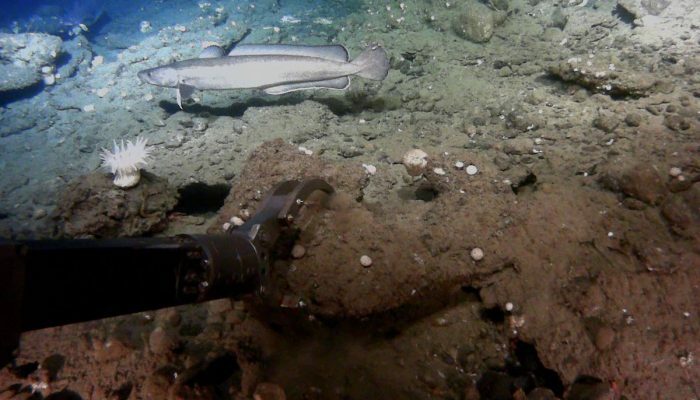 With our research, we can contribute to a better understanding at what time methane from the seabed has released to the atmosphere and if more emissions have occurred while the climate of the past was changing. We have been using ROVs to inspect the seafloor and sample carbonate crusts, gas bubbles released from the seafloor and surrounding sediments (Fig. 1). Fig. 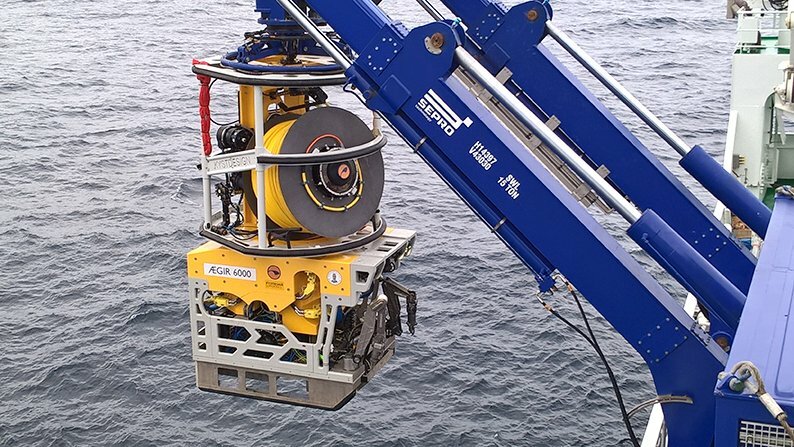 1: the ROV Ægir 6000 (credit:Maja Sojtaric – CAGE). The last area investigated is composed by two 2 small canyons where a lot of bacterial mats were observed (Fig. 2). These bacterial mats occur where the methane is in high concentration in sediments and represent a target for investigation on methane-influenced systems. Fig. 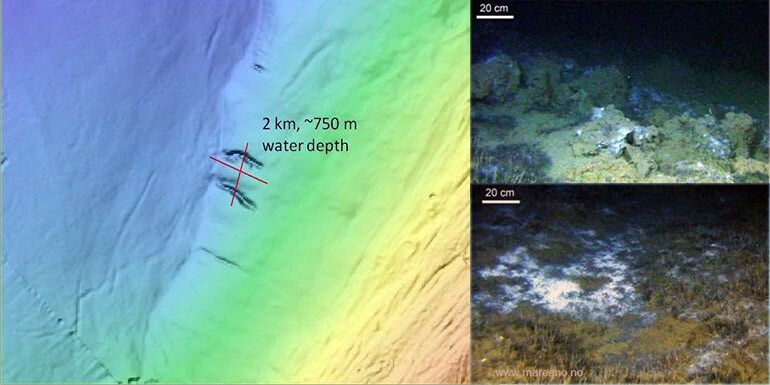 2: sampling area in the Norwegian Sea and pictures of the seabed with bacterial mat (credit:Maja Sojtaric – CAGE ). Two major tools are used in these environments to identify the past methane emissions, the carbonate crusts and push cores.The carbonate crusts precipitated because of the methane release, isotopes measured on these rocks inform about the date of emission and about the source of methane (Fig. 3 and 4). Fig. 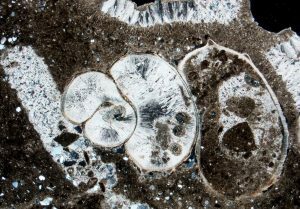 3: Gastropod in CH4-derived carbonate cemented sediment; aragonite botryoids (upper center; X-pol light) (credit: Maja Sojtaric – CAGE). The push cores are sampled for porewater to trace geochemical processes related to fluid flow processes. Samples are also taken for gas measurements to determine the amount and its sources (Fig. 4). 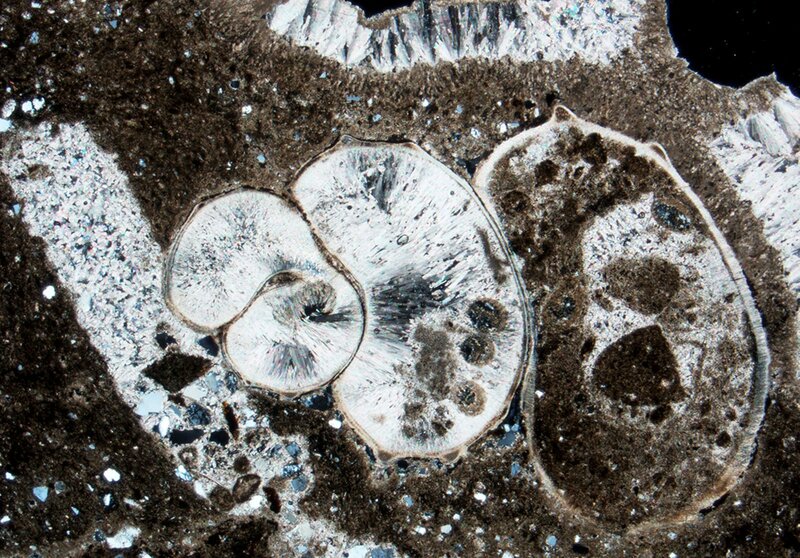 The response of the biological community on methane seepage is analyzed by means of planktonic and benthic foraminifera. Fig. 4: Push core sampling in bacterial mat (credit: Maja Sojtaric – CAGE).